The first thrilling investigative series on Indian Television, is today one of the most popular shows on Sony Entertainment Television. Dramatic and absolutely unpredictable, C.I.D. has captivated viewers over the last 17 years and continues to keep audiences glued to their television sets with its thrilling plots and excitement. Also interwoven in its fast paced plots are the personal challenges that the C.I.D. team faces with non-stop adventure, tremendous pressure and risk, all in the name of duty. The series consists of hard-core police procedural stories dealing with investigation, detection and suspense. 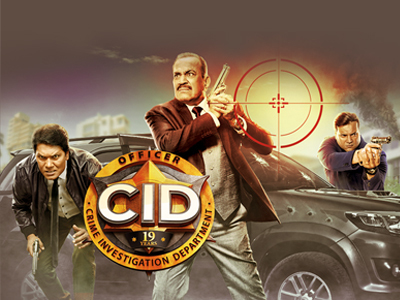 The protagonists of the serial are an elite group of police officers belonging to the Crime Investigation Department of the police force, led by ACP Pradyuman [played by the dynamic Shivaji Satam]. While the stories are plausible, there is emphasis on dramatic plotting and the technical complexities faced by the police. At every stage, the plot throws up intriguing twists and turns keeping the officers on the move as they track criminals, led by the smallest of clues.